Ordering flowers online should be an easy task, and at Bloom Magic, we aim to ensure it will be a fuss-free process for you. 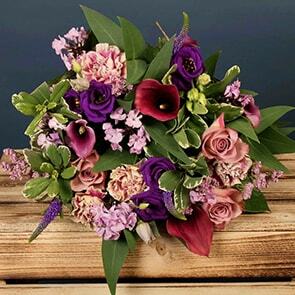 Our Navan florists select the most brilliant fresh blooms and carefully gather them into lavish hand-tied bouquets that are simply breath-taking. The flowers are then delivered straight to your recipient’s door. With our next-day flower delivery Navan, you can create absolute magic at a moment’s notice with ease and the simple click of a button.? As your browse through our catalogue, you’re sure to notice that we don’t use traditional bouquets. Instead, we work with Ireland’s most-respected florists to create custom bouquets that are exclusive to Bloom Magic. Our Navan florists have worked hard to cater to every possible occasion and taste, which is why you will find a wide range of styles in our catalogue. From our vibrantly colourful bouquets to more neutral-coloured and subdued bouquets – you are guaranteed to find something to suit the occasion and the recipient’s personal taste. We’ve also taken the care to design our arrangements using minimal packaging and obtain our blossoms locally whenever possible, so you can be sure your gift is as ecologically-responsible as it is thoughtful and beautiful. We craft the most exquisite bouquets for life’s special moments, including holidays, birthdays, and anniversaries. 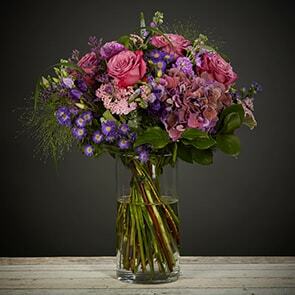 Our Spring Flowers selection is perfectly suited for any occasion, and it just so happens that you can send our spring flowers with Navan next-day delivery. Synonymous with fresh beginnings, why not send them to brighten up someone’s day for their birthday? Looking for a flower subscription service for your office? Why not arrange a weekly flower delivery with our corporate service? We can also cater for employee’s birthdays or agree on specific arrangements for your corporate event. Simply check out our corporate flower service page and get in touch. 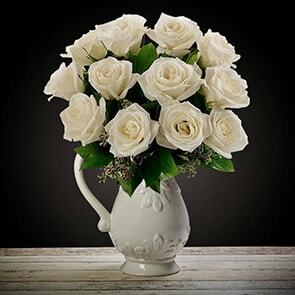 Our collections also include arrangements that can show someone the depth of your emotion in times of sorrow or sympathy. 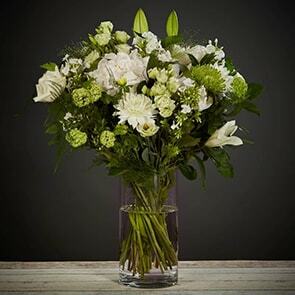 Consisting of elegant flowers such as our Athena bouquet featuring seasonal white blooms and greenery as well as Blooming Whites bouquet with white lilies and other seasonal flowers, you are sure to find something to express your heartache over their loss in our funeral flowers range. You can also add personal touches, such as chocolates, a note and custom vases, to create a truly unique gift befitting of the recipient. At Bloom Magic, we want your experience to be every bit as wonderful for you as it is for the recipient of your gift. Should you need help at any time with your Navan flower delivery order, whether you’ve just arrived on our site or have questions after your delivery has been made, we’re honoured to be at your service. Our associates are available via live chat on the site or by email and phone, so you can always reach someone when it’s convenient for you. We’re always happy to help. Flowers were fantastic however the delivery could be improved. When the flowers were delivered no attempt was made to call myself or the recipient. The flowers were left at the back of a car in the driveway. It was a windy and wet day. Using the delivery tracking system I was able to see when they were marked as delivered and rushed home. If I had been called I would have been able to tell the person where to leave them in a safe and sheltered location. I had asked ,if possible, to have the delivery early in the morning - they were delivered at about 4pm. The flowers themselves are wonderful but I think I'll have to pick them up myself in future. The flowers received were absolutely beautiful and so well presented. Will be using Bloom Magic for all my flower deliveries going forward. I am more than happy to give a 5 star review, this company has delivered on their promises time and time again for me, great value, great service, on-time and super bouquets. Well done Bloom Magic and thank you. 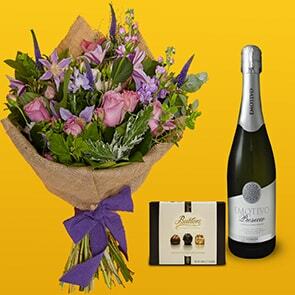 Happy with the order, flowers, chocolates and prosecco. Arrived at about 11 or so (granted I gave 3-4 days notice before Mother’s Day) and the flowers hadn’t blossomed, yet, but blossomed over the past week. Overall, given the short notice I am happy with the order, I dropped one star as they weren’t as colourful as I thought they would be. Beautiful flowers and superb service. A brilliant service, so reliable and beautifully presented when delivered. Have ordered numerous times from bloom magic. Flowers are always fresh and delivery always on time. Everyone who I've ordered flowers for loved them and said they lasted ages. Very happy with the flowers. Such a great gift idea, especially as I am overseas. Absolutely fab florest & so easy to order online service. Highly recommend. I order from the U.S. for delivery in Dublin and have been disappointed too many times. If you are willing to pay for quality use this company. Couldn’t have been happier with my experience dealing with Bloom Magic, living abroad can make it hard to find reliable good florists at home but Bloom Magic made my recent order of mother’s day flowers great. Even better with the add on chocolates, candle and card made available to purchase. 5star service. Impeccable customer service! Beautiful bouquet! Very good value for the money! I urge you to choose Bloom Magic when looking for that perfect experience. You won't regret it.